I first stepped in to Liberty when I was 11 and had bunked off from school with Angie. We were oh so brave and naughty, catching the central line to Oxford Circus and spending the day wandering around. That was before the days of social media of course… and oyster cards! It was the same day I first walked down Carnaby Street, with its then psychedelic orange and yellow pavement and weird and wonderful people. Liberty is a magical store. The carved wooden atrium balconies, sparkling chandeliers and beautiful mystique make it a wonderful place to spend an afternoon. It really is a charming place: eccentric, indulgent, flamboyant. Much of the inspiration came from Mr Liberty’s collaborations with two of my favourite pre-Raphaelite artists: William Morris and Gabriel Dante Rossetti, so it’s no wonder I feel at home there. I shared a lovely afternoon tea with a graphic designer who illustrates amazing little characters – many of which you would recognise, but I don’t know if I’m at liberty to name them. (See what I did there?!) 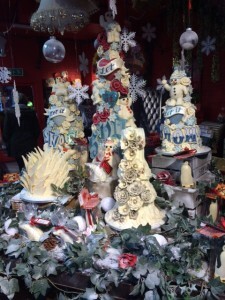 He was charming too, and very knowledgeable about art and etiquette; So much so that I had to apologise for eating my cakes in the wrong order – more naughtiness. Just like that naughty day when I should have been doing double maths, I walked the length of Carnaby Street. 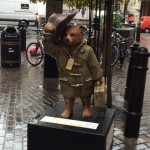 Liam Gallagher’s Paddington is a new addition!! He’s the first one I’ve seen actually, and very cute. (It really was a day full of whimsical characters!) 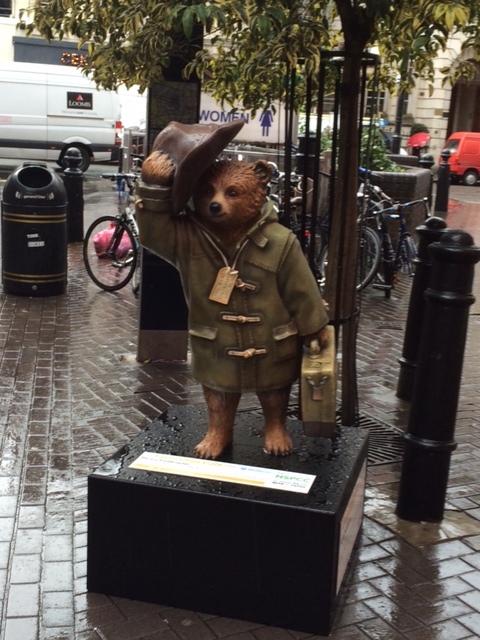 Have you spotted any of the marmalade loving bears yet? I’m invited to dinner at a posh private bank on Tuesday so I’ll be able to say hello to Boris’s bear too – he’s keeping guard outside the National Gallery. a movie set type street corner in Fouberts Place, stands the unobtrusive and shy looking shop and café that has become my new dream home. Because inside Choccywoccydoodah is chocolate heaven! Extravagant cakes with rich, thick, deliciousness can be eaten amid an environment that I really can’t describe because I was too focused on the giant creations on my plate. I dance around the room to Donna Summer in an attempt to de-calorie some of the cream-tea-chocolate-cake-cream-trifle-more-chocolate-week-of-celebrating. 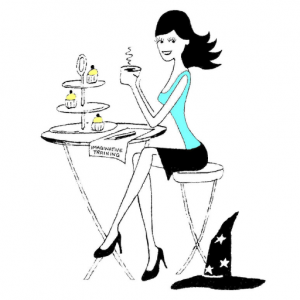 The queen of disco sings out in my bedroom, “Someone left the cake out in the rain; I don’t think that I can take it, ’cause it took so long to bake it.” Feel free to dance along with me, or follow the trail of chocolate buttons… You’ll find me here: @WeekendWitch.